The following is a list of individuals who were arrested on prostitution and/or public lewdness related charges (or who have a history of prostitution/lewdness charges) during the week of 04/11/2016 – 04/17/2016 according to public records maintained by the Oklahoma County Jail and the Oklahoma City Police Department. 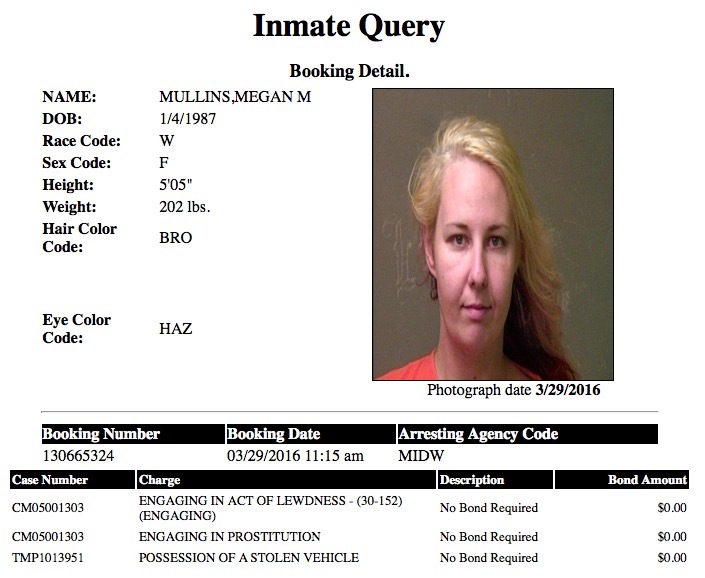 Megan Mullins, DOB 1/4/1987, White female, reportedly resides in OKC, OK. Arrested by members of the Oklahoma County Sheriff’s Office on warrants, including engaging in prostitution and engaging in an act of lewdness. 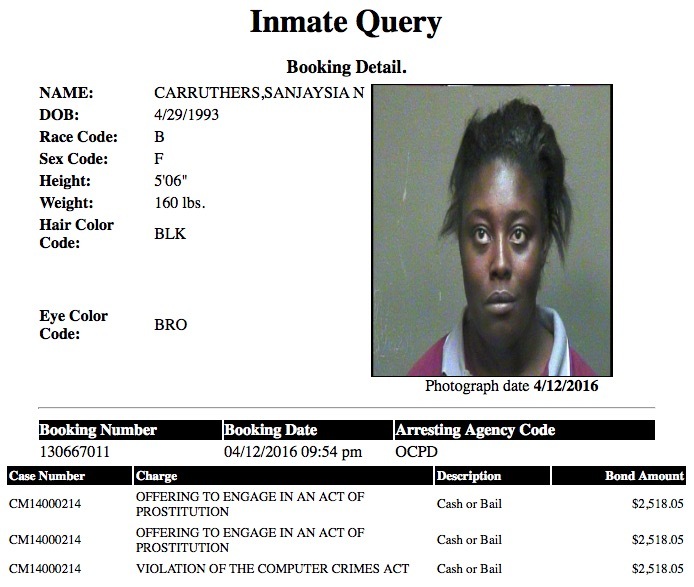 Sanjaysia Carruthers, DOB 4/29/1993, reportedly resides in OKC, OK. Arrested by members of the Oklahoma City Police Dept. on a 2014 charge for offering to engage in prostitution and felony computer crimes. Lyndsay Cresswell, DOB 1/11/1985, reportedly resides in OKC, OK. Arrested by members of the OCPD on a 2014 charge of offering to engage in an act of prostitution. McKenzie Warrior, DOB 8/26/1997, Indian female, reportedly resides in Ponca City, OK. Arrested by members of the OKC Police Dept. on new charges of offering to engage in prostitution and felony computer crimes. Kevin Martin, DOB 12/6/1984, reportedly resides in the 200 block of Allenhurst Ave. in OKC, OK. Arrested by members of the OCSO on an out of custody warrant stemming from a 2016 case of aiding and abetting prostitution and felony computer crimes. Cheri Hobbs, DOB 10/19/1986, reportedly resides in OKC, OK. Arrested on a warrant stemming from a 2007 case of offering to engage in an act of prostitution. James Black, DOB 2/26/1943, reportedly resides in the 6900 block of Lake Front Drive in OKC, OK. Arrested by members of the Warr Acres Police Dept. on an warrant stemming from a 2016 case for engaging in an act of lewdness.